In the previous thread, we shared pictures from the outside of the house. Here are some inside pictures taken during various training sessions. 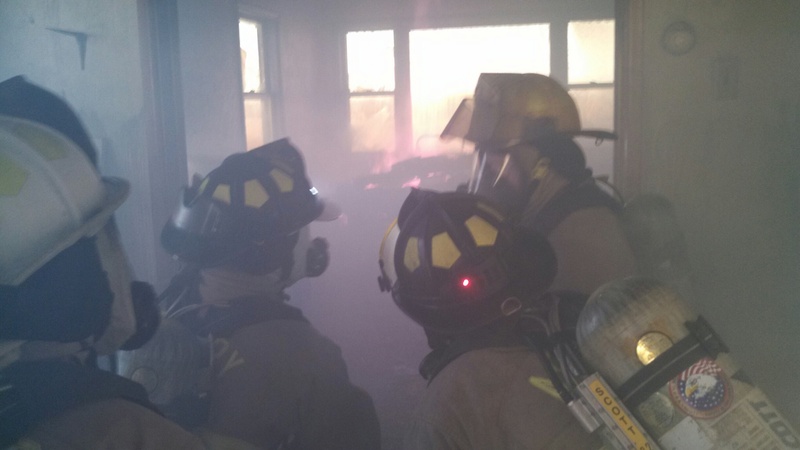 Pay attention to the fire on the ceiling, there are some examples of rollover (ignition of combustible gases when temperatures exceed 1,000 degrees F); you can see how it could become dangerous to firefighters on the inside of the structure. Remember to keep your smoke AND carbon monoxide detectors in working order and practice your fire evacuation plan with your entire family. The carbon monoxide will end your life before you get a chance to see a fire like this in your home. This is a pile of pallets burning in one of the rooms. 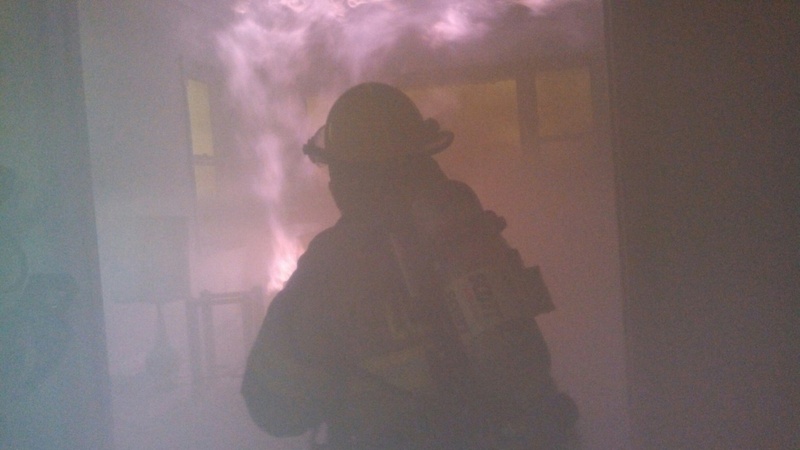 Notice how poor visibility becomes with the entrapment of smoke within the structure. 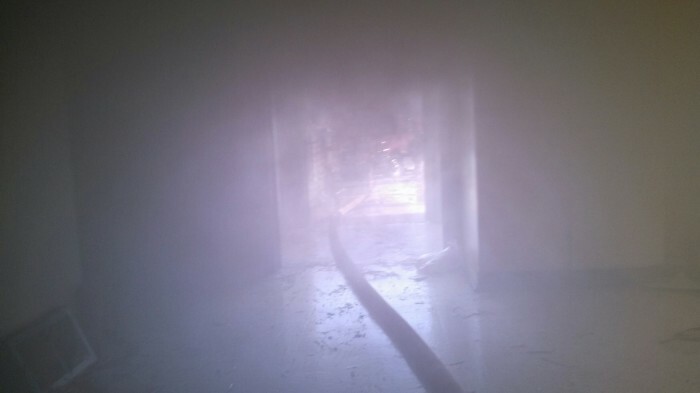 Because of low visibility, firefighters use the attack line hose as a guide to navigate through the rooms. 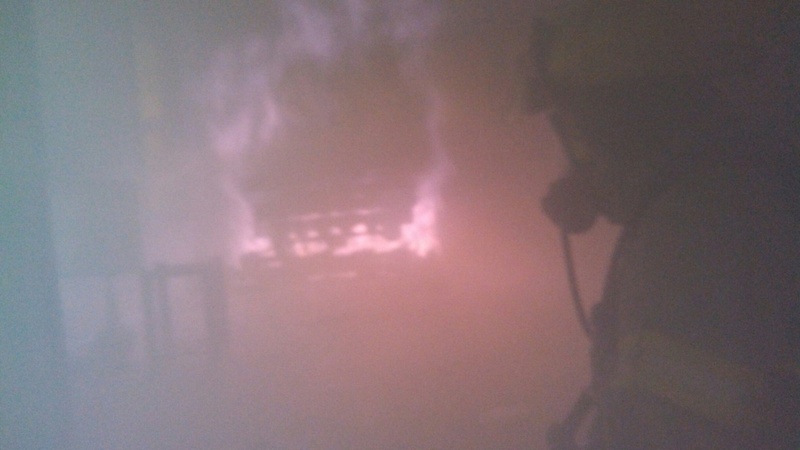 Staying low to the floor also helps improve the chance of seeing anything, plus it reduces risk of getting immersed in flashover, pulse helps by staying out of the intense heat. Here is the beginning of rollover. 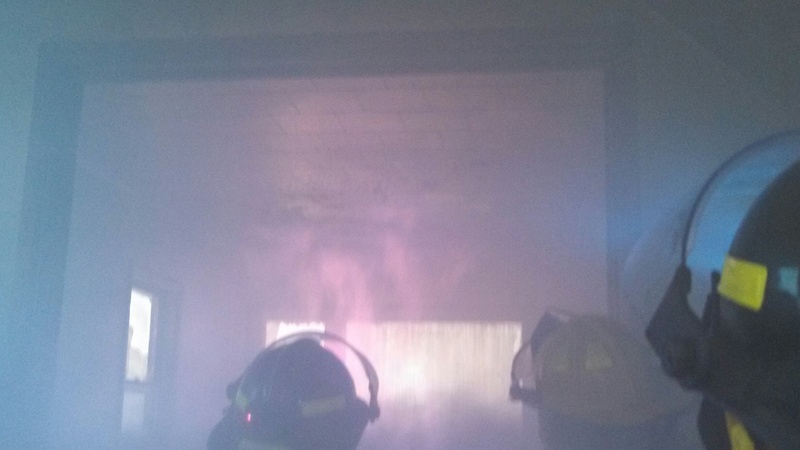 The heat at the ceiling has reached the ignition point of the combustible gases. It is clearly evident rollover is occurring, and this is the point the firefighter running the nozzle is instructed to spray the ceiling. Doing so will cool the combustion at the ceiling, thereby managing the rollover event. This was one of the last exercises before allowing the living room fire to take over.